Use the above times to make up a missed workout, or attack your weaknesses from a strength biased. Continue to utilize the Wendler 5/3/1 monthly program to address the area that most needs improvement. Remember to add 2 more auxiliary movements after the Wendler movement to help hit the same muscles from different angles. 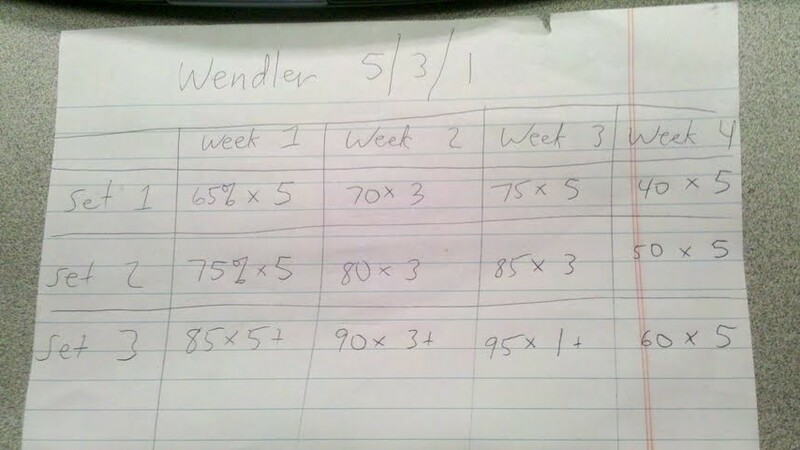 Also, the %’s of the Wendler program are 90% of your true 1RM. Week 1-3 the (+) means as many as possible and keep track of your reps/weights. Log your results on www.beyondthewhiteboard.com. This program works. The proof is in the pudding. Personally, I added 75 pounds to my 1RM deadlift in less than 3 months. See you at the gym! Possibly bro. I can’t guarantee it until later in the day. Text me when it’s closer. DU practice….was able to string 7 a couple of times!! !